From bustling Phnom Penh to incredible Angkor, Cambodia is a small country with a lot to offer for visitors. It’s possible to see the highlights of Cambodia in a 1 week itinerary if you’re pressed for time. Have you only got one week to spend in Cambodia? Although Cambodia has a lot to offer, it’s possible to see most of the country’s highlights in a single week. Below, we’ve prepared a quick travel itinerary that covers Cambodia’s must-see attractions in just seven days. Note: Before you leave, make sure you’ve budgeted for your trip to Cambodia. Our guide, How Much Money Do I Need For Cambodia?, covers the average cost of travelling in Cambodia and breaks down the cost of accommodation, sightseeing, food, drinks and more. 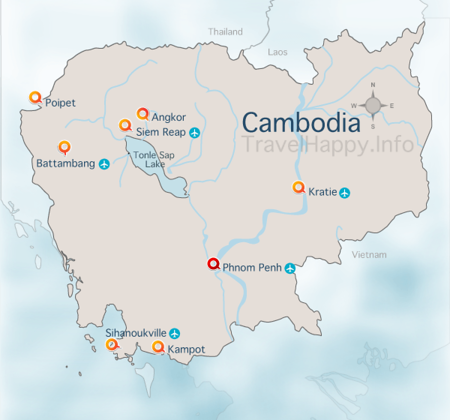 Our itinerary starts in Phnom Penh, Cambodia’s capital city and most important economic and cultural city. Flights arrive at Phnom Penh International Airport from Bangkok, Singapore, Hong Kong and other regional air travel hubs in Southeast Asia. If you’re staying in Phnom Penh on a budget, you’ll find the city’s cheapest hotels on the streets around Sisowath Quay, near the city’s Riverside area. Higher-end hotels can be found in BKK1, or Boeung Keng Kang 1, which is an upmarket, former French colonial part of Phnom Penh. Our Phnom Penh Quick Guide lists the best hotels in Phnom Penh, from ultra-luxury hotels like the Raffles Hotel Le Royal to stylish boutique hotels and budget guesthouses. 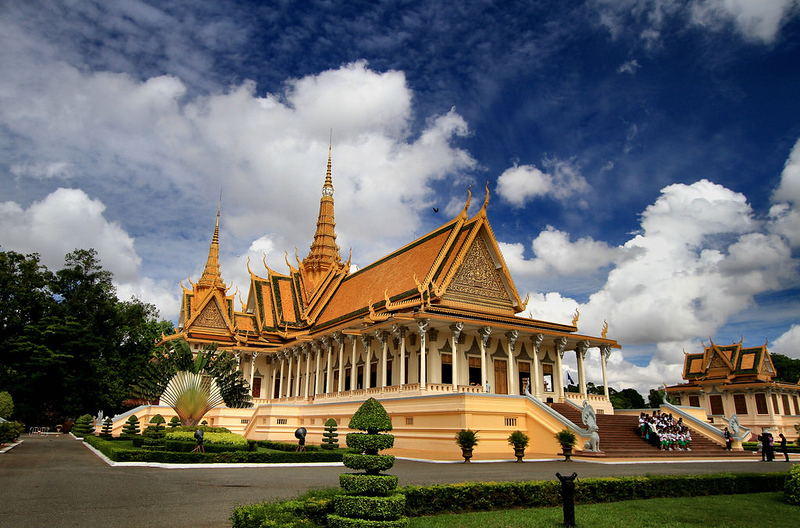 Phnom Penh is one of Asia’s most interesting, cosmopolitan cities, with a huge range of things to do. We’ve selected four of the city’s best attractions, ranging from grim reminders of Phnom Penh’s past under the Khmer Rouge to the city’s stunningly beautiful Royal Palace. Tuol Sleng Genocide Museum is a former high school that was converted into a prison and holding camp during the Khmer Rouge era and is now a historical museum. The Killing Fields at Choeung Ek are the site of mass graves used in the 1970s by the genocidal Khmer Rouge, offering a chilling look into Cambodia’s recent past. The 1930s Central Market is one of Phnom Penh’s best places to shop for souvenirs, cheap clothes and accessories, although you’ll need to be ready to bargain to get the best prices. 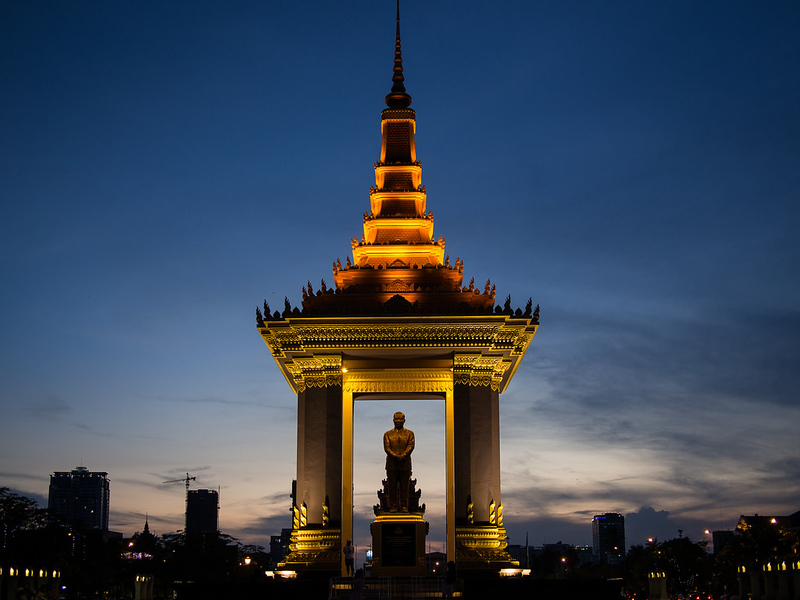 Learn more about Phnom Penh, including the best things to see, places to stay and restaurants to dine in, in our Phnom Penh Quick Guide. Siem Reap is the closest city in Cambodia to the stunning temples of Angkor, making it one of the country’s most visited destinations. There are two ways to get to Siem Reap from Phnom Penh — by air, or on a minivan along National Highway 6. 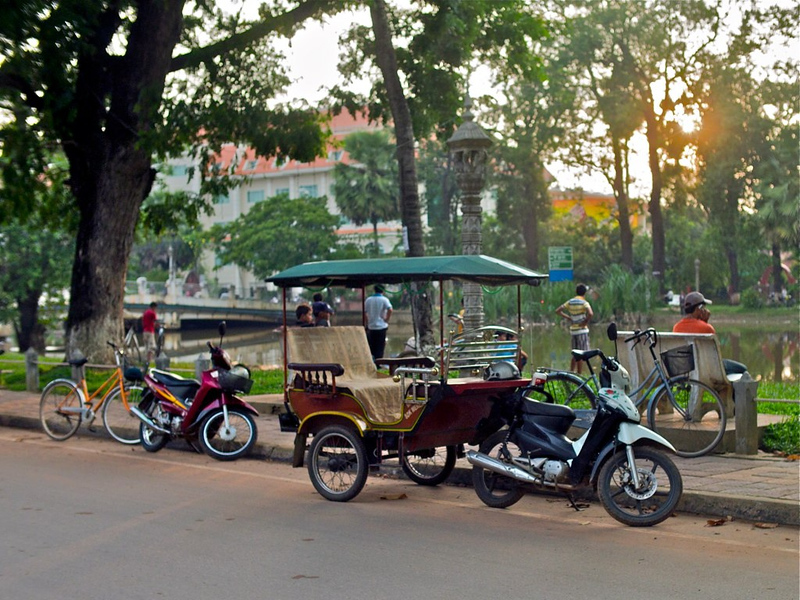 If you’re on a strict budget, travelling by minibus is the cheapest way to get to Siem Reap. Seila Angkor, Mey Hong Transport and Golden Bayon Express all offer minibus transport from Phnom Penh to Siem Reap in five to six hours and at a cost of $8 to $10 per person. 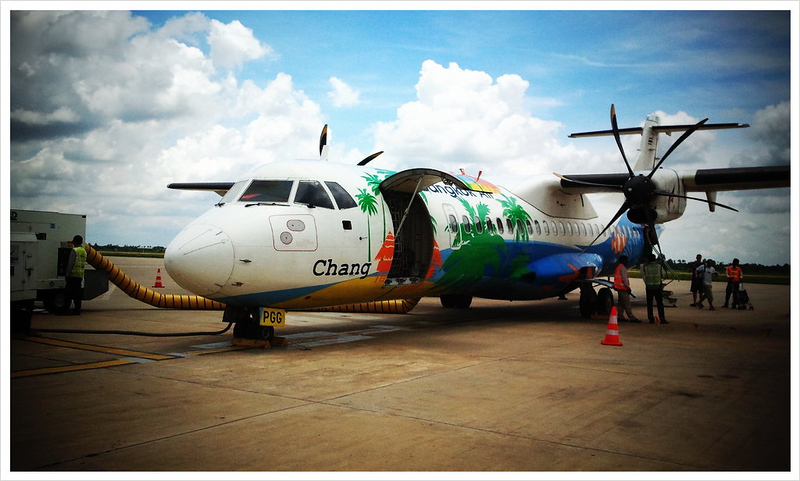 The fastest way to get to Siem Reap is to fly there. Flights leave frequently from Phnom Penh International Airport on Cambodia Angkor Air and Bassaka Air, with the trip taking around 45 minutes. Need help finding a place to stay in Siem Reap? Our Siem Reap Quick Guide contains the best luxury, mid-range and budget hotels in Siem Reap, as well as a list of the city’s best restaurants, cafes and bars. Siem Reap’s biggest attraction — and for many visitors, the biggest attraction in Cambodia — is Angkor Archaeological Park. Covering over 400 square kilometres, Angkor Archaeological Park contains the ruins of Angkor Wat, Angkor Thom and other capitals of the Khmer Empire. The park’s temples were built from the 9th to 15th centuries. Angkor Archaeological Park is so large that it’s best explored over several days, although it’s possible to see the main highlights of the park in a single day. The easiest way to see the park is on a private tuk-tuk tour. Tuk-tuks are available for the day for $12 to $15, although you’ll need to pay slightly more if you want to visit the park before sunrise. Arrive as early as possible (the park opens at 5am) and purchase the one-day pass for $20 USD per person. 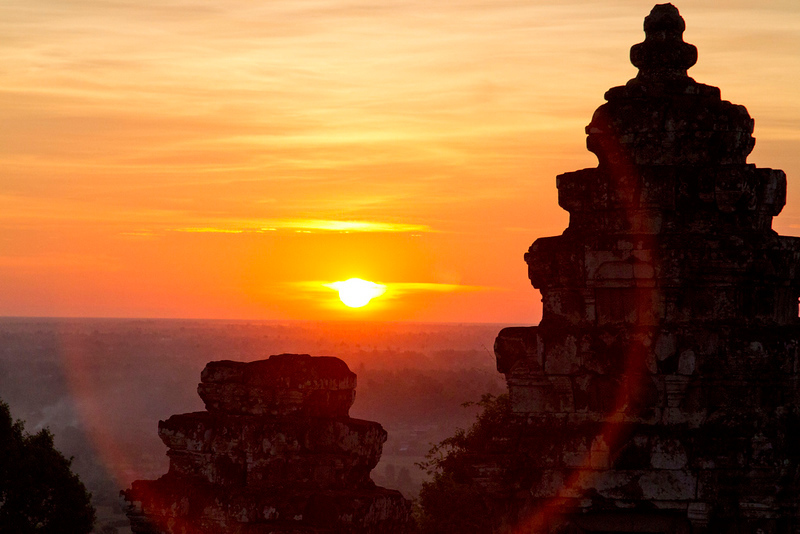 If you get to the park before dawn, you’ll have time to watch the sunrise over Angkor Wat before exploring the rest of the park. After the sun rises, you can walk through Angkor Wat, although crowds can be quite large at this time if you’re visiting in high season. It’s best to wait for 10 to 15 minutes after sunrise before exploring the temple, as the temple itself is completely unlit. From Angkor Wat, travel into the ancient city of Angkor Thom to see the Bayon — a 12th century Mahayana Buddhist temple. The Bayon is famous for its smiling face sculptures, which surround the central tower of the temple. After Angkor Thom, travel across the moat to see Takeo — a five-level pyramid temple built using sandstone blocks that reaches approximately 40 metres above ground level. Finally, visit Ta Prohm — a Bayon-style temple built in the late 12th century that’s famous for its role in the Tomb Raider movie. Ta Prohm has been left in a natural state (although it’s carefully managed to ensure it isn’t unsafe) and is overrun with trees and jungle life. Still got some time before the park closes? If you’ve still got time to spare before the park closes at 6PM (or 6:30pm during high season), try visiting the remaining must-see temples in our Guide to Angkor’s Essential Temples. Angkor Archeological Park is best visited over two days, which gives you enough time to see the park’s less explored temples in addition to the main highlights of Angkor Wat, Angkor Thom and Ta Prohm. Three-day passes can be purchased from the park’s entrance for $40 per person, giving you the option to spend an extra day in the park if you want to explore for longer. Kbal Spean is an incredible archaeological site located 25 kilometres into the jungle from the main Angkor temples. Known as “The River of a Thousand Lingas”, Kbal Spean is a collection of more than 1,000 lingam carved into the Stung Kbal Spean River. Built in the 10th century as a shrine to the Hindu god Shiva, Banteay Srei is a beautiful red sandstone temple that’s one of Angkor’s most popular sites. The temple is located in a remote area approximately 25 kilometres north of Angkor Thom, near Phnom Dei. Banteay Samre is a 12th century temple built in the same style as Angkor Wat. One of the most elaborate temples in Angkor, Banteay Samre has been carefully restored over the last few decades using the anastylosis method, making it a stunning sight today. Want to explore Angkor even more? If you don’t mind missing out on a day of sightseeing in Siem Reap, you can extend your Angkor Archaeological Park visit to three day and see even more of the park’s stunning temples and historical sites. Roluos is a small town on National Highway 6 that contains several temples that are some of the oldest Khmer structures. The three most popular temples are Preah Ko, Bakong and Lolei, all of which were built during the late 9th century. Located 40 kilometres to the east of Angkor Wat, Beng Mealea is an abandoned temple that’s largely been left in its original state, complete with crumbling facades, vegetation, collapsed stone construction blocks and overgrown jungle surroundings. If you only spent one or two days exploring Angkor, you’ll have some free time on day five and six to spend in Siem Reap. We’ve listed four things to do in and around Siem Reap below, from river trips to nearby Battambang to hilltop temples and floating villages. Kompong Phluk Floating Village is a local fishing village on Tonle Sap. Although it’s a slight tourist trap, the village offers a great look into rural life on Cambodia’s gigantic seasonal freshwater lake. Siem Reap Landmine Museum is a museum that documents the social consequences of the millions of landmines spread throughout Cambodia during the country’s civil war. Phnom Krom is a 140 metre hill located a short drive from Siem Reap. Its hilltop temple, which is dedicated to several Hindu gods, has incredible views of Siem Reap and Tonle Sap. Battambang is a quiet colonial city famous for its historical temples and French colonial architecture. If you’ve got two days to spare, travelling to Battambang by river boat is a fun way to see the countryside and visit Cambodia’s second-largest city. 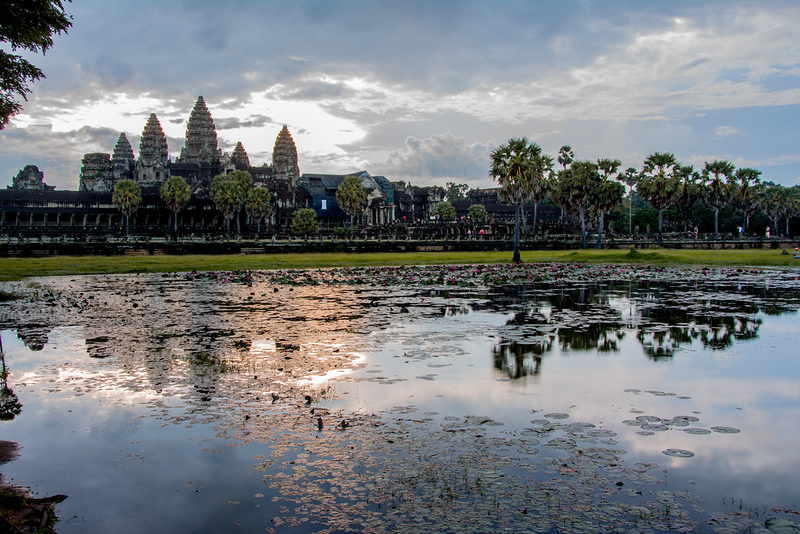 Siem Reap International Airport has direct flights to Bangkok, Singapore, Seoul, Kuala Lumpur and other regional hubs in Southeast and East Asia. Alternatively, you can fly back to Phnom Penh if you’ve booked a return flight in and out of Cambodia’s capital. If you want ideas of how to spend 2 weeks in Cambodia, see our Cambodia 2 Week Itinerary, which lets you explore each place in-depth.